Christmas is made up of traditions, and few are more sacred than the food. It is no easy feat to convince a Norwegian to try a new dish for that very special Christmas dinner on the 24 December. Depending on where they live and what their granny used to cook them years back, they will have very strong opinions concerning what should be served on Christmas Eve. 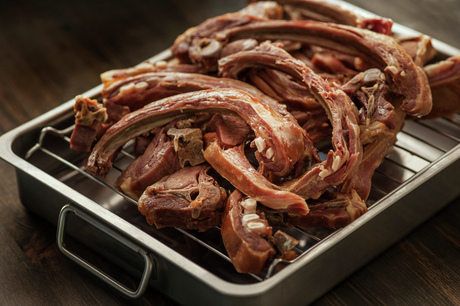 Many will argue that pinnekjøtt – dried mutton ribs – is the undefeated Christmas dinner champion, while others prefer ribbe – roasted pork belly – or variations of fish. Even turkey is popular, although it is often designated to New Year’s Eve. Luckily, the many days of Christmas provide the perfect occasion to indulge in a delicious range of festive food. 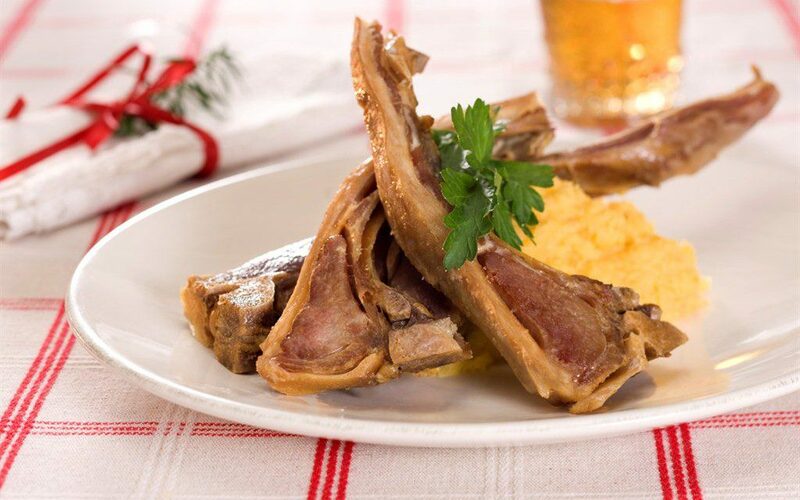 While ribbe is considered the most popular Christmas dish, pinnekjøtt is normally the favourite among the population of the Western parts of Norway. 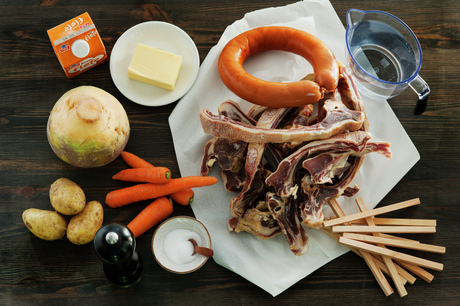 Easily explained, pinnekjøtt is ribs from lamb that have been salted, and sometimes also smoked, to preserve it. Though it is a fairly easy meal to make, it is by no means quick. For preparation, the meat needs to be soaked in water to remove most of the salt, which could take around 30 hours(!). It can pretty much be left to its own devices, however, leaving you with time to focus on the side dishes. 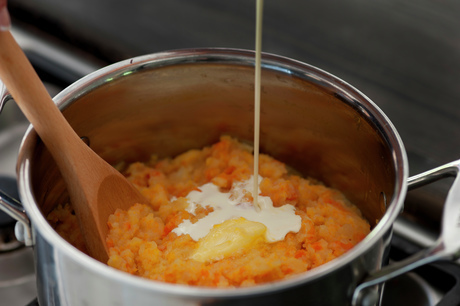 Few Norwegians eat pinnekjøtt without a dash of swede mash (rotmos), which consists of swedes, carrots and potatoes. Add a spoonful of lingonberry jam and a few cooked potatoes to the plate and you’ve got a filling, festive meal. Intrigued? Here’s a recipe for pinnekjøtt success, lifted from matprat.no. 1. Water out the meat in plenty of water for about 30 hours, in room temperature. 2. Place a metal grate or birch sticks without bark at the base of a wide saucepan. Refill water so it levels the grate. Add the meat on top and cover with a lid. Steam on low heat for about three hours. Be careful so it does not boil and leave the meat dry, top up with more water if necessary. Optional: add the sausages and leave them in for the remaining 15 minutes. 3. Peel the swedes, carrot and potatoes. Cut them in rough pieces and boil them until tender in lightly salted water. Pour out the boiling water and mash the vegetables. 4. Add butter and cream to the mash. Season with salt and pepper, and perhaps a little grated nutmeg. There you go – pinnekjøtt with swede mash ready to be served!